Girl From Nola – Live. Love. Write. Travel! 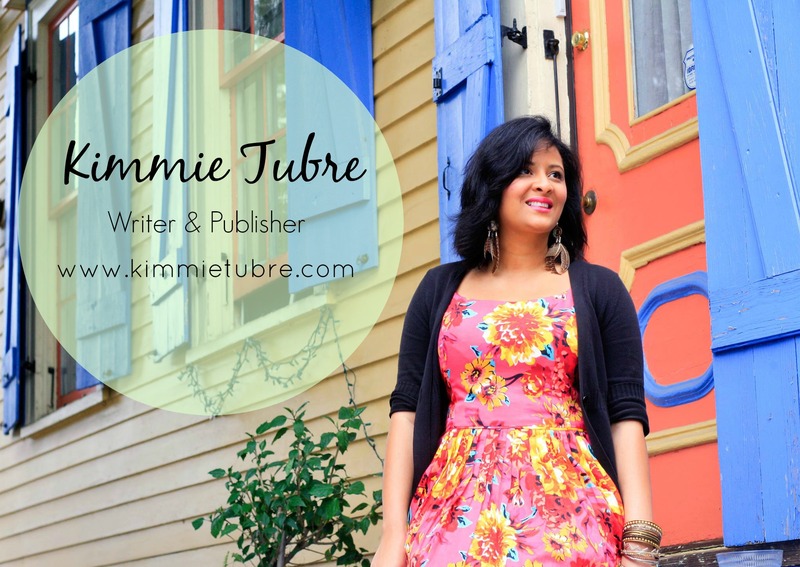 Published Author and Freelance Writer, Kimberly “Kimmie” Tubré has always loved music, culture and traveling. Born in the culturally diverse city of New Orleans, Kimmie had a desire for seeing the world and creating her own world within her writings. As a child, Kimmie would fill up composition notebooks with her writings. She created stories that she one day hoped to share with the world. From early on Kimmie knew that Creative Writing was her passion. While attending Edna Karr High School, Kimmie enrolled in the Media Arts program at the New Orleans Center for Creative Arts (NOCCA), a Creative Arts School dedicated to the high school students of New Orleans who wanted to pursue their passions for art. Kimmie received her degree in Liberal Arts and Screenwriting from the University of New Orleans (UNO) in 2009. While in college, Kimmie participated in a study exchange program in Costa Rica, interned at WVUE Fox 8, and wrote for a local entertainment and news publication, Where Y’at Magazine. After College, she was introduced to the world of film production. Kimmie worked as a production assistant (PA) on the Nicholas Cage film, “Seeking Justice” and was a PA and stand in talent for Raven Symone on the ABC Movie Channel film, “Revenge of the Bridesmaids”. After her brief stint in the film industry, Kimmie decided she needed a change of pace that would allow her to focus on her writing. With this in mind, she moved to Montgomery, Alabama where she worked for Clear Channel as a radio Account Executive, managing advertising accounts and writing commercial spots for three different radio stations. On her off time, she focused on her writing and creative stories. In 2012, Kimmie moved back to New Orleans. She continued writing, freelancing for several publications including; Where Y’at Magazine, The Examiner, Marriott Traveler, The New Orleans Advocate, Contently, and BreakThru Media Magazine. In 2012 Kimmie also began work on a children’s book series she co-authors with her mother, Tracy J. Barnes, an educator in Norfolk, Virginia. Since then they have written five stories for their character “Nola Louise”. In May 2013 “Nola Goes to the Zoo” was published by The Nola Louise Project. Soon after the duo published their second book “Nola Louise Believes.” With her first publishing experience under her belt, Kimmie decided it was time to publish her first Adult Fiction book, “Lasetta” which is currently available on Kindle and was mentioned on Good Reads. In 2015, Kimmie published her second Adult fiction novel “Mumbi: The Witch of Pointe Pierce” also available on Kindle. Kimmie plans to release 10+ stories on Kindle as part of the Pointe Pierce series. Kimmie moved to Europe in 2015 where she worked as an English teacher in Prague, Czech Republic. She plans to continue writing, teaching English, and enjoying life as it comes. Follow Kimmie on her journey as a NOLA GIRL TRAVELS!